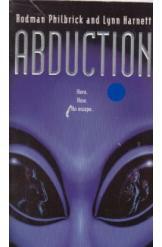 Abduction by Rodman Philbrick and Lynn Harnett Sci Fi, book is in a good condition, all pages intact. Here and now and no escape. Mandy and Luke have a memory blackout each morning and together they must resist their captors before its too late.